Who doesn’t love some dirty rice? 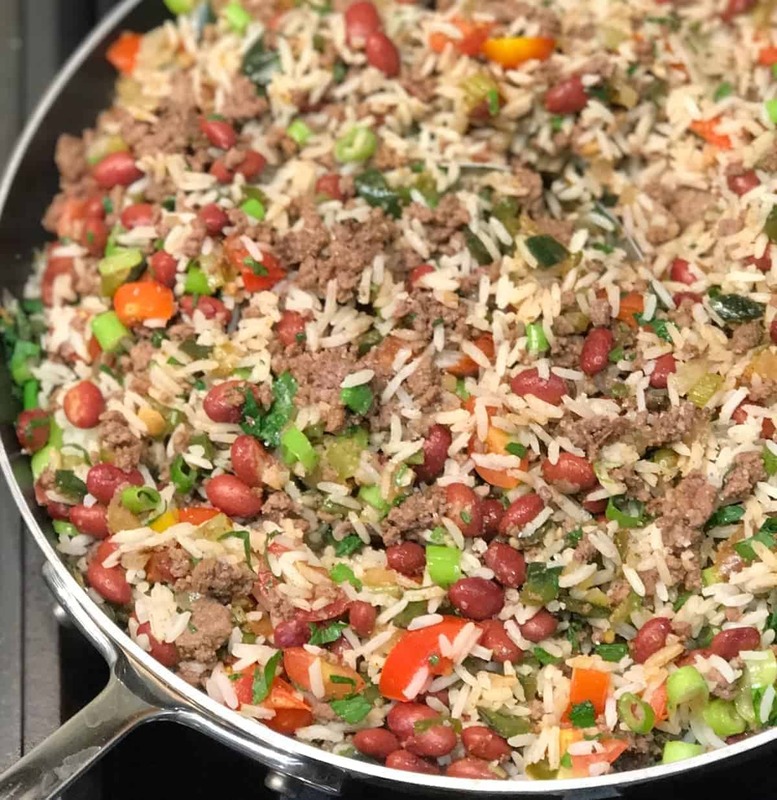 Dirty rice is usually associated with Cajun food. But, I always like to put my own spin on things. Dirty rice is easy to make and great when you have leftovers. Have some leftover rice? Some leftover meat? Add some veggies and a few spices and you can make an awesome bowl of yumminess that stores well, reheats like a champ and is super portable.
. Then, when I reheat everything, the broccoli cooks just enough and I have a quick well-balanced lunch. If I have leftovers, like rice, I can throw together something like this fried rice and it comes together in no time since the meat and the rice is already cooked. When I made this fried rice, I just happened to have some leftover peppers from my chili Verde. One of my best friends is a five-foot-nothing, spicy, Puerto Rican badass. She has made her own version of this and brought it to a few of our get-togethers. Hers is different, I’m not exactly sure how she makes it. Hers is Puerto Rican for real. But as I looked at some of the stuff in my fridge, this spicy rice and bean dish came to mind. So, I decided to put my own twist on it and voila! Puerto Rican Dirty Rice was born. 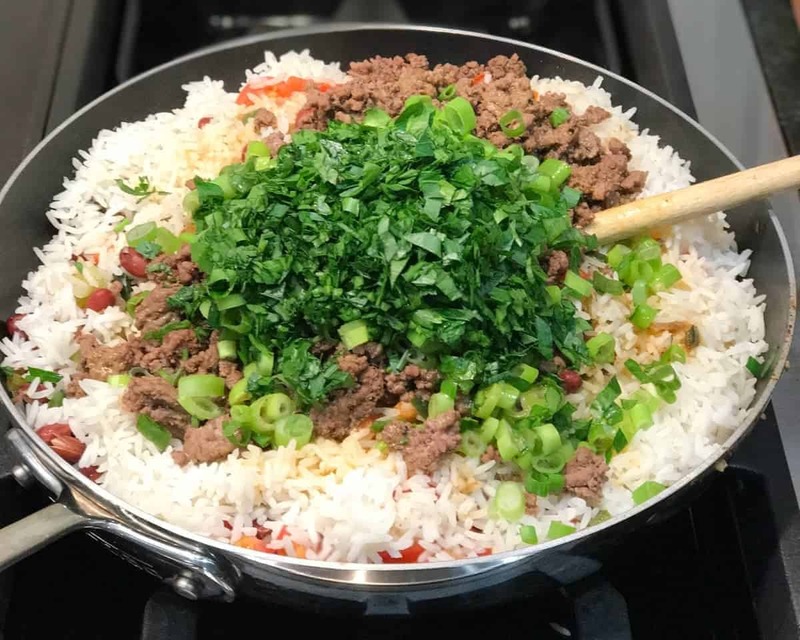 Start with cooked rice and browned ground beef. If you don't have these in the fridge already, make these first. 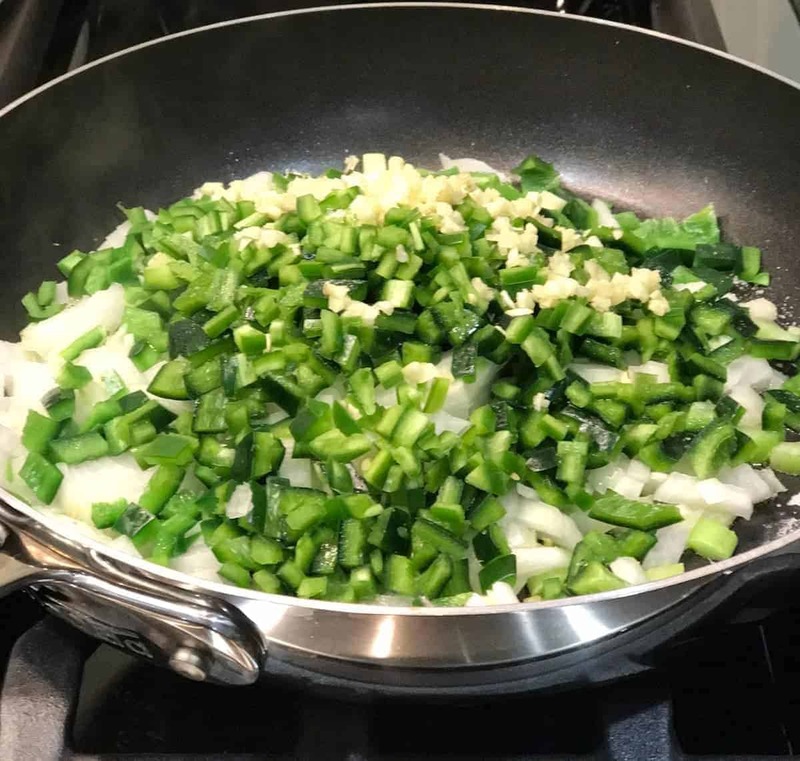 Add oil, celery, peppers and garlic to large pan. Cook over medium high heat until vegetables are fragrant. Add rice, ground beef, beans and onions, oregano, chili powder, and salt and pepper. Mix until well incorporated. Remove from heat and add tomatoes, green onions and parsley. Have your self a big bowl of yum! Paleo Adapt It: Use grated cauliflower instead of rice. Vegan Adapt It: Leave out the ground beef or use ground meat substitute instead. Love the descriptions of your food! You can tell you love creating these dishes! !